A City music alumnus has developed the “world’s first all-in-one music history app” and says that his time at university was critical in the development of the idea. 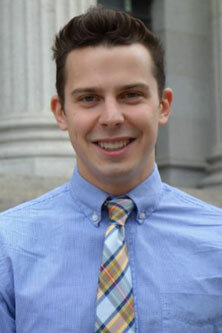 Drew Schweppe, who completed his Music MA in 2013, says the Informusic app provides users with biographies of composers, sheet music, program notes and audio examples. 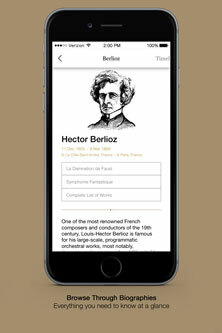 Available for tablets and smartphones, the app also includes interactive timelines that allow users to contextualize musical events with other disciplines such as art, literature, politics and technology. “My time at City was critical to the app’s creation,” said Drew. “The MA Music course inspired me to think about music in a different light in regards to the world around it. Informusic, which took five years to develop and is available on the Apple App Store, is designed to be especially useful for undergraduate students. As well as including background on key musical figures, the app has suggestions for further readings by leading scholars and complete works lists. Drew, who is originally from Philadelphia in the USA, is a saxophonist and pianist, and played in the City University London Big Band during his studies. He said: “While studying classical music at Ithaca College in New York and City, I would often find myself lost in endless Google results about events throughout musical history. 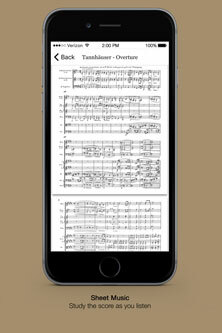 “I couldn’t help but wonder why there wasn’t a more accurate and definitive resource for smartphones for the thousands of students, professionals and music fans who are also immersed in this world. “So I teamed up with some of my colleagues and professors and we just designed and curated the resource ourselves." He added that the app has been designed to provide a deeper historical context to music and show how it was influenced by different factors through time. Drew says the app has been well-received so far by academics, students and musicians. And an updated version with additional content and composers is due for release in autumn 2016. Schools and universities in the US are also now starting to use Informusic in the classroom.